Isabella Binko, above, drives past a Cape defender in IR’s come-from-behind win on Tuesday, April 24. Anastasia Diakos prepares to defend a Cape player. The Indians came from behind to score four straight second-half goals, to defeat the Vikings 4-2 in a key Henlopen Conference South Division contest that evened the IR season mark to 3-3. After controlling the ball for essentially the entire first half, the Indians had found themselves locked in a 0-0 tie with the Vikings. Then, after the intermission, two quick goals by the guests saw IR facing a tough hill to climb. Izzy Binko received a pass from Sammi Whelen down the left side. Binko’s cross to the front of the net was punched away by Cape goalie Lucy Siranides. Anastasia Diakos was in the right place at the right time, punching the ball into the back side of the post to make it 2-1. Diakos and Bingo teamed up to tie the score about five minutes later. Diakos sent a through-ball to Binko, who buried the ball in the bottom right side of the goal. With the score tied and play going back-and-forth, IR kept putting heavy pressure on the Cape goal. Grace Engle was rewarded with a free-kick around the 68-minute mark that deflected off a Cape defender and into the net for an own-goal, giving the Indians their first lead of the game. Binko put the game away at 72:47 on a give from Avery Congleton, to make it two in a row for the Indians. IR goalie Fabrea McCray made three saves to pick up the win, while Cape’s Siranides was credited with nine saves on the day. 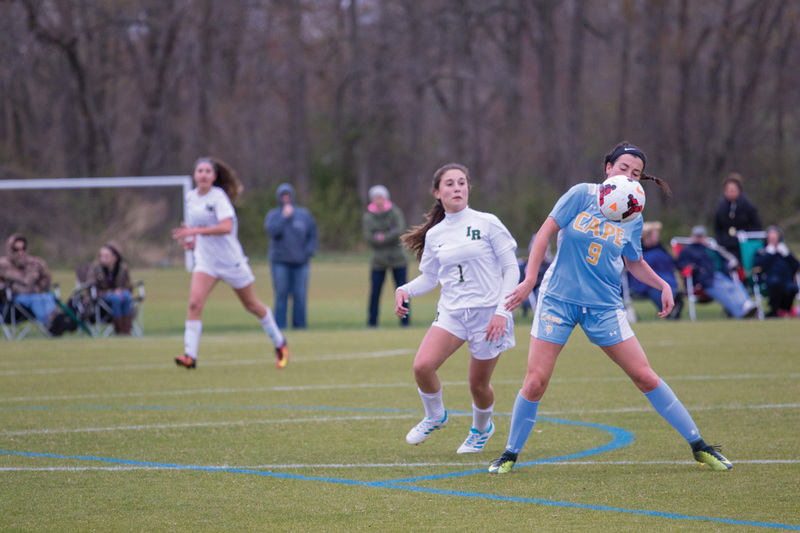 The Indians outshot the Vikings 15-5 and had five corner kick opportunities to Cape’s three. 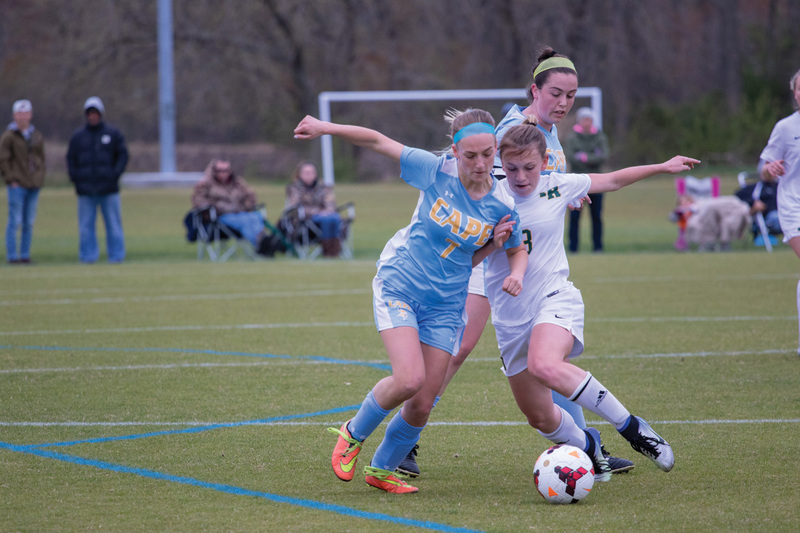 Both of Cape’s goals were scored by Brooke Hollingsworth. Hannah Bieler and Madalyn Swontek each picked up an assist. The loss dropped Cape to 6-3 on the season. IR was set to be back in action on Thursday, April 26, (after Coastal Point press time), hosting Seaford. Follow Coastal Point sports on Facebook and Twitter for results and highlights from the game.